It seems that a convenience sample really is the only way to go for my project at this stage. I have long entertained the notion that some kind of randomization would work to my benefit in some abstract, cosmic way. The problem is, I’m developing a product for an established audience. As much as I’d like to reach out and get new audiences interested, that will have to come later. That sounds harsh, which is probably why I hadn’t actually considered it until recently. In reality, it could work toward my larger goal of bringing in new audience members by streamlining the development process. I’ve discovered that non-gamers tend to get hung up on things that aren’t actually unique to Deme, but are rather common game elements with which they’re not familiar. Imagine trying to design a dashboard GPS system, then discovering that a fair number of your testers aren’t familiar with internal combustion engines and doubt they will ever catch on. I need people who can already drive. Games—electronic, tabletop or otherwise—come with a vast array of cultural norms and assumptions. Remember the first time you played a videogame wherein the “Jump” button—the button that was just simply always “Jump” on your console of choice—did something other than jump? * It was like somebody sewed your arms where your legs were supposed to be, wasn’t it? It was somehow offensive, because the game designers had violated a set of cultural norms by mapping the buttons “wrong.” There’s often a subtle ergonomic reason that button is usually the “Jump” button, but it has just as much to do with user expectations. In non-Deme news, we’re all excited to welcome our new Senior Aquarist, Colleen Newberg. She comes to us from Baltimore, but used to work next door at the Oregon Coast Aquarium. I learned last week that she is a Virginian, leaving Sid as the lone Yankee on our husbandry team. We’ve got some interesting things in the works, and Collen has been remarkably cool-headed amidst a torrent of exhibit ideas, new and changing protocols and plumbing eldritch and uncanny. *I’ve personally observed that button-mapping has become less standardized as controllers have become more complex. I could be wrong, though—my gameplay habits do not constitute a large representative sample. Trigger buttons, of course, would be an exception. Posted in Evaluation, Qualitative Data, Research. For those of you just joining us, I’m developing a game called Deme for my master’s project. It’s a tactical game that models an ecosystem, and it’s meant primarily for adults. I’m studying how people understand the game’s mechanics in relation to the real world, in an effort to better understand games as learning and meaning-making tools. I stumbled across Roll20, quite by accident, while reading the PA Report. What I like about Roll20 is the fact that your table session can be shared as a link (apparently—I haven’t started digging yet as I only found out about it a few hours ago). Also, each token can be assigned a hit counter. Damage tracking is something of a hassle in Deme’s current incarnation. I’ll have more to report after I play around with this for a while. Moving the game from one incarnation and environment to another has forced me to think of it as a system, rather than a product. I want Deme to be portable, and a robust system can be used with just about any tabletop, real or virtual. For an example of a game system, see Wizards of the Coast’s d20 System. The d20 System happens to be a handy model for quantizing events and behaviors—handy enough to inform the data collection framework for our observation systems in the Visitor Center. Of course, Deme cannot be run single-player as a tabletop game. That’s a double-edged sword. A tabletop game (even a virtual one) is an immediate social experience. A single-player game is a social experience too, but it’s an asynchronous interaction between the developer(s) and the player. I rather like the tabletop approach because each species has a literal voice. The unearthly torrent of resulting qualitative data may be tough to sort out, but I think that’s a good problem to have so long as I know what I’m looking for. At this phase, the tabletop version is still officially—as much as I can make something official—just a pilot product. I don’t know if it will become something more, but I feel like it deserves a shot. 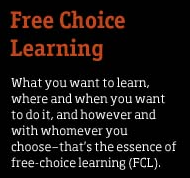 Posted in Evaluation, Free-Choice Learning, Games, People, Qualitative Data, Research. After talking to a developer, I’m switching to a turn-based format for Deme. I probably should have done this to begin with, and my reasons for not doing so earlier owe a lot to my own misconceptions about myself. I don’t think of myself as a turn-based game fan. When I find out a computer game is turn-based, I tend to stop reading the description and look for something else. Somehow, this notion of myself as a real-time game guy persists despite my whelming affection for several turn-based games. These include computer games and tabletop games alike. Of course, many tabletop games are inherently turn-based. The new concept I’m pursuing is fairly simple, drawing mechanical inspiration from games like Battle for Wesnoth and Heroscape. These games, likewise, are derived from other systems (turn-based tabletop strategy games, in general, have an interesting genealogy that includes H.G. Wells). One benefit of a turn-based system is ease of balancing and modification. Real-time games require finer simulation, which means more complexity. I want people to be able to modify Deme in the future, so this process should be as painless as possible. Initial development will also be much faster and simpler. Another big bonus is the ease with which the game can be prototyped and balanced on pen and paper. I have hauled out my 20-sided die for this purpose, just in case. Fortunately, HMSC is a pretty good place to find nerds, ecologists, biologists, computer geeks and gamers. I only learned recently that my minor advisor is an Age of Empires fan. At some point I may have to pit him against my wife, whose historic conquests in that game’s campaign mode have filled many a night with the din of clashing steel. Meanwhile, I have rejoined the husbandry team. I’ve switched gears a couple of times to focus on one area of my career or another, so it’s interesting to walk between worlds. I find I miss the FCL Lab when I’m working on aquarium systems, but I miss the animals when I work on interpretation and design. I think—or rather, I hope—this is a good thing. I want to do everything. I find it very motivating, but it could become paralyzing without the proper focus. Posted in Exhibits, Games, Students. Note: This will be my last post as a regular blogger, though most of you will have observed that Katie has taken over as Your Friend and Humble Narrator in recent weeks. You’ll still hear from me. I have much work to do on my project—work that will warrant intermittent updates within the physical context I am studying. Otherwise, I will be working with the animals again due to my appointment as Visitor Center aquarist. The words were on a pin. The pin was on a boonie hat, among many other pins endorsing various causes. The boonie hat was on an old man—an Alaska Native, by my reckoning—riding the Number 3 bus through downtown Anchorage. I thought about that pin for several minutes before I realized why. Those two questions, though glib in intent, inform much of our work. If you ask them of yourself, sincerely and urgently, you might detect some familiarity in them. Along with several of my colleagues, I spent last week in Anchorage at the National Marine Educators Association conference. We mingled with fellow educators (formal and informal), remembered Bill Hastie (whom I never had the good fortune to meet), explored the city’s FCL facilities and shared research. The sharing is really it, isn’t it? I think the reasons for exchanging knowledge freely and graciously are more immediate than we tend to recognize. I hear a lot of talk about protecting resources for the future and making the world a better place than it was. I think it’s simpler than that. Our world has also faced problems. Problems and their solutions change over time. Creation and destruction are not discrete chronological points. They are continuous, ever-present processes. When we exert ourselves toward the preservation of the things that matter—to us or to someone or something else—we save the world. We’re not saving it from the past or for the future, but right in that place at that moment—not a step toward a final goal, but a valuable act in itself. That’s the way it’s done. It’s the way people have always done it, and we’ll never be finished. Let’s find out. Go save the world today. Things are in motion. That’s how we like it. The Japanese dock on Agate Beach has been the leading topic of conversation in town since it washed ashore some days ago. Lots of people have gone down to the beach to visit it, and for different reasons. At least one left flowers. Many took note of the exotic creatures that rode the battered hulk across the Pacific. Some tore off pieces as souvenirs (and some of these were caught and turned back by state police). The potentially invasive species have now been removed from the dock, and a trans-Pacific conversation is underway to determine exactly what to do with it. Should it be taken apart as scrap? Should it be converted into a memorial for those lost to the tsunami that displaced it? Should it be left where the sea saw fit to release it? That dock carried more than sea stars and barnacles from its home. What meanings did it bring with it, and to whom do they belong?